Underside of boiler. 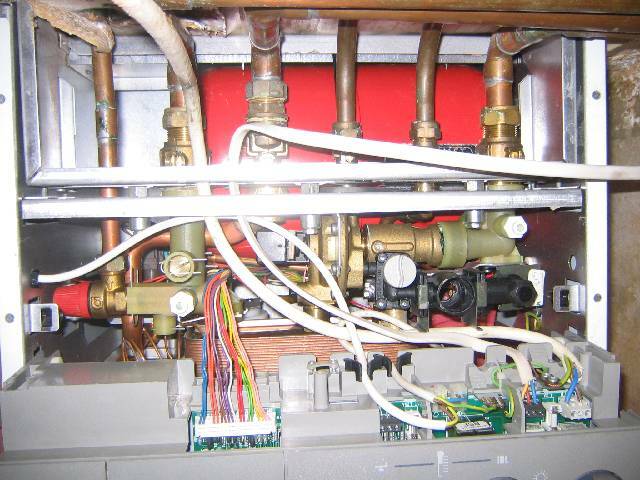 The water, gas and CH flow/return can all be isolated here to enable servicing of the boiler. Two drain taps (flow and return) are also fitted here - use them once the boiler is isolated as there're 10+ litres of pressurised water in the expansion tank to get rid of before you start undoing anything! This avoids the need to drain the whole system and the subsequent addition of inhibitor that would be required.